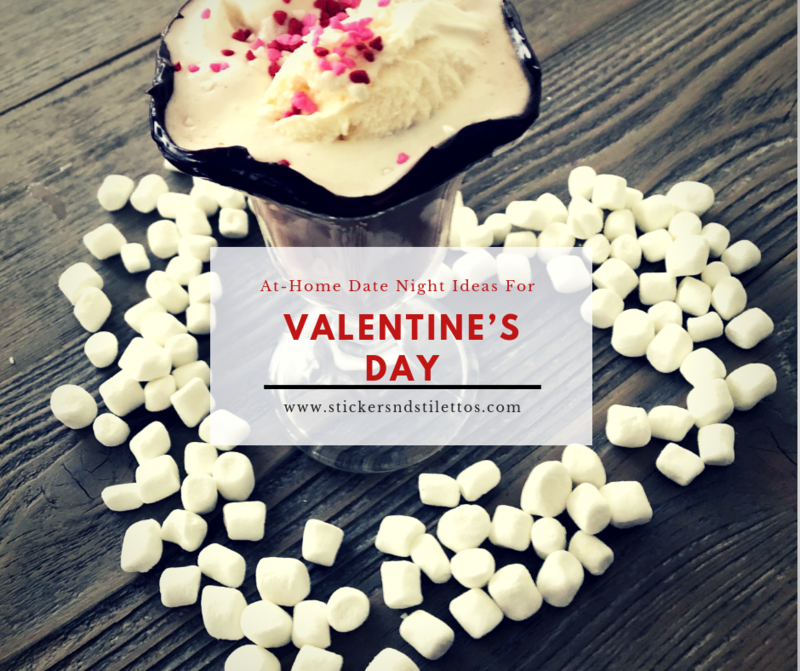 Looking for some ways to spend your Valentine’s Day night at home with your special someone? Grab a couple of different kinds of wine and beer, and do a private tasting for yourselves in the comfort of your own home. Light some candles and dim the lights to make it a little more romantic. Cuddle up on the couch and binge watch your favorite Netflix series or grab that movie that you have been wanting to watch. Add in some fountain pops and a big bowl of popcorn and you may never go to the theatre again. Whether you have a favorite game that you play together or grab a new one to try out, game night is a perfect way to spend the evening. Grab a heart shaped pizza and celebrate with a pizza night. If you do not have time to make your own dough, Papa Murphy’s has Mini Murph pizzas that you could grab and shape into hearts. Pick up some ingredients at the store and you can customize your pizza to your liking. Open a bottle of wine and you have an easy Valentine’s Day evening set. My husband’s favorite meal of the day is breakfast. Why not make it romantic for Valentine’s Day and have breakfast in bed?!? ?. 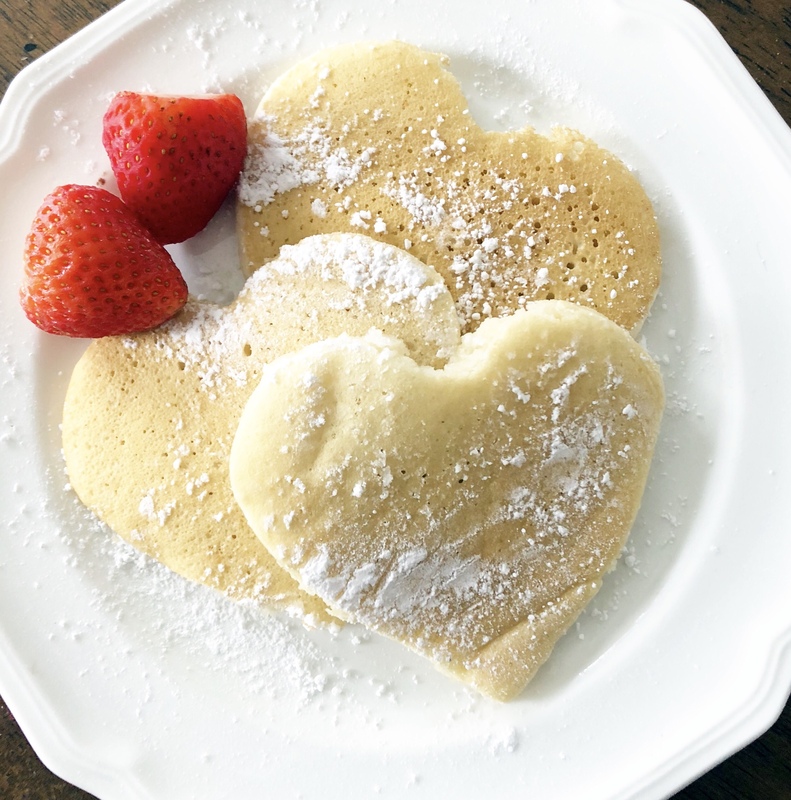 Make heart-shaped pancakes or eggs, serve a little bubbly, even dim the lights and add some romantic music. It’s a simple and cheap way to spend a romantic evening together. Who doesn’t love desserts?!? Valentine’s Day is all about chocolate and yummy treats. 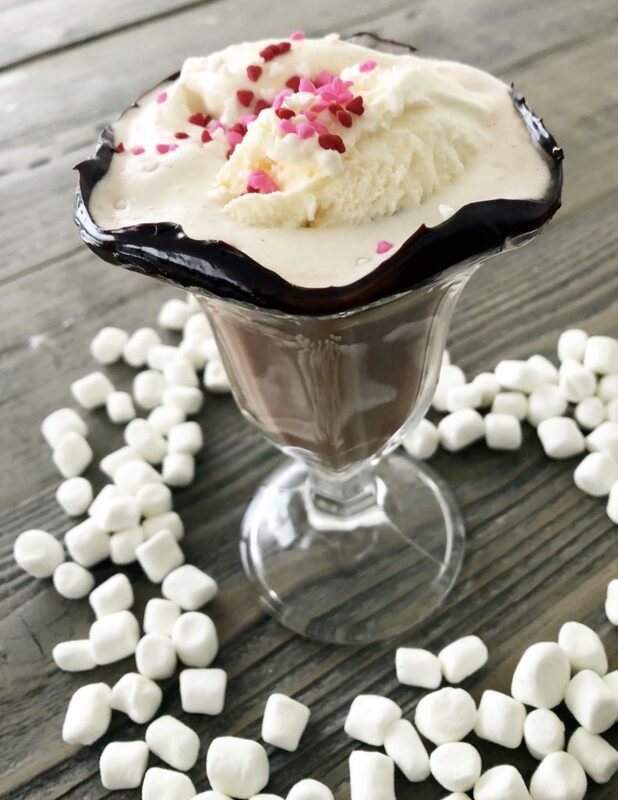 Pick out a new dessert recipe to try or grab a couple treats at the local bakery and have a spread of yummy goodness to try as a special Valentine’s Day dessert night. Add in a dessert drink and the whole evening is set! Put the kids to bed, then pull out a few different ice cream flavors, some gourmet toppings, and make your own ice cream sundaes. This might be the one time you don’t have to share yours with your kids, so enjoy! Around Valentine’s Day, in every store you will see boxes of chocolates wrapped up in pretty papers, ready to be given as a gift. Why not grab a couple boxes and have your own chocolate tasting with just the two of you? Wine and romantic music are a must to make this a little more special ? ? Start off the evening with cheese fondue and end it with chocolate fondue. The ideas are endless of what you can use to dip. Grab breads, mini meatballs, pretzels, vegetables, steak bites and dip in cheese. For chocolate, any fruit is great (strawberries are my favorite), cake cubes, pretzels, marshmallows and brownies are all tasty ideas. Light a romantic fire in the fireplace and make s’mores. If you don’t have a fireplace, they make s’mores kits that you can purchase! Try something a little different than the traditional s’mores of graham cracker, marshmallow and chocolate. A graham cracker, marshmallow and peanut butter cup is a delicious alternative to plain chocolate. Using chocolate chip cookies in place of graham crackers is another idea. Add a square of caramel sea salt chocolate to add a little pizzazz. The combinations are endless, so grab a variety and try them out! There is nothing more romantic and cozy than a fire in the fireplace. Grab a big chunky knit blanket and cuddle in front of the fireplace. Enjoy your time together, talking without the kids jumping all over you. Give each other a massage. Get some massage oil, dim the lights, and pamper each other with a back or foot massage. Set the table and add some candlelight and order your favorite food from your favorite restaurant and have a romantic dinner at home. Being in your own home, without waiters checking in on you and the noise of the restaurant can be romantic. And you can even wear your jammies! This is the best recipe. Hands down. Rachel served this treat at our book club one month, and I ordered the Cuisinart ice cream maker before I left her house. It is that good! 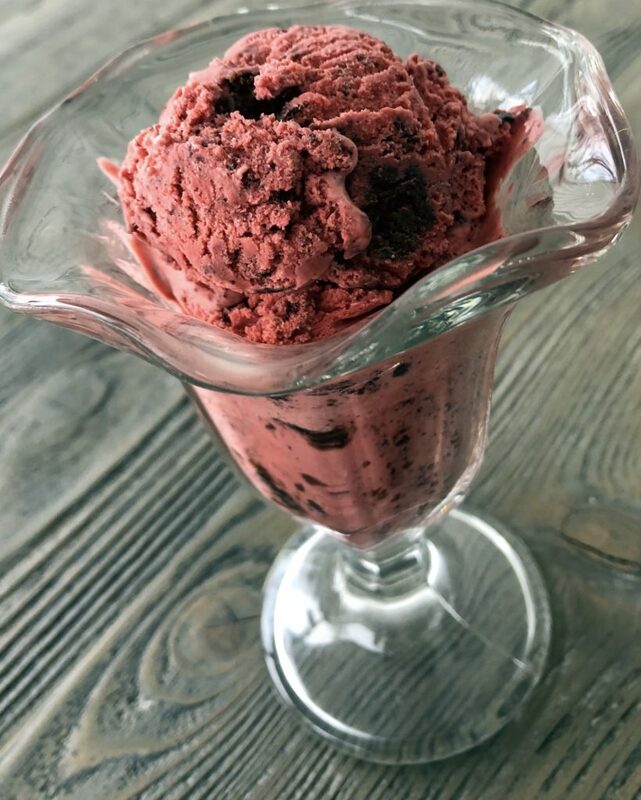 Red velvet ice cream is a perfect Valentine’s Day treat. I added brownies to ours and it is so good! These are some ideas that I have come up with for making Valentine’s Day a romantic evening in the comfort of your own home.